“Our ultimate goal is to become a world-class automobile manufacturer with a footprint in markets around the world,” said the start-up’s CEO Jim DeLuca, a former General Motors Asia hand who came out of retirement to help launch the company in 2017. That suggests the pace at which VinFast plans to operate. By the time it expects to have the Lux A 2.0 sedan and Lux SA 2.0 SUV in production it will have been in business less than three years. It helps to have hired a team of industry veterans, like CEO DeLuca and design chief Dave Lyon, who also spent a number of years at GM. Ms. Vietnam is on the left, next to VinFast CEO DeLuca. And that’s David Beckham on the far right. It also helps to have the financial backing of Pham Nhat Vuong, a Vietnam native who, 25 years ago, borrowed $40,000 to launch a noodle company in Ukraine. After selling it to Nestle’s for $150 million he headed home, parlaying what was already a handsome sum into the country’s biggest conglomerate. His VinGroup also runs schools, hospitals, shopping malls, spas and resorts, a $10 billion annual empire. Money alone wouldn’t have been able to pull the project together. VinFast has also lined-up an enviable list of high-level industry partners, including ABB, Magna Steyr, Bosch and Siemens. And BMW. It couldn’t have come together without the Bavarian automaker which, in a rare move, licensed the platforms for its 5-Series sedan and X5 sport-ute, as well as its 2.0-liter turbo engine. VinFast has made extensive modifications to all of those, as became readily apparent at the Paris Motor Show debut. The Vietnamese maker’s take on those two platforms don’t look badge-engineered. They boast distinctive styling emphasizing the company’s “V” logo, both front and back. The VinFast Lux SA 2.0 is based on the outgoing BMW X5. Both use a modified BMW 2-liter I-4. Credit goes to both Lyon and to Italy’s Pininfarina, which won a shoot-out among outside design consultants to take the lead in the project. But even here, VinFast broke with industry norms. The company actually gave Vietnamese consumers the chance to vote on a dozen possible design renderings to pick the best two models, the ones now on display in Paris. The new car company has yet to reveal full specs for its first two models. During a visit by TheDetroitBureau.com to its Haiphong headquarters and factory, however, company officials did note that they have simplified the design of the BMW 2.0-liter engine to reduce costs. But, by the time the factory complex – which includes an engine plant – gets up and running, they expect it to come close to matching the specs of the European-made powerplant. That would suggest an output somewhere north of 200 horsepower. 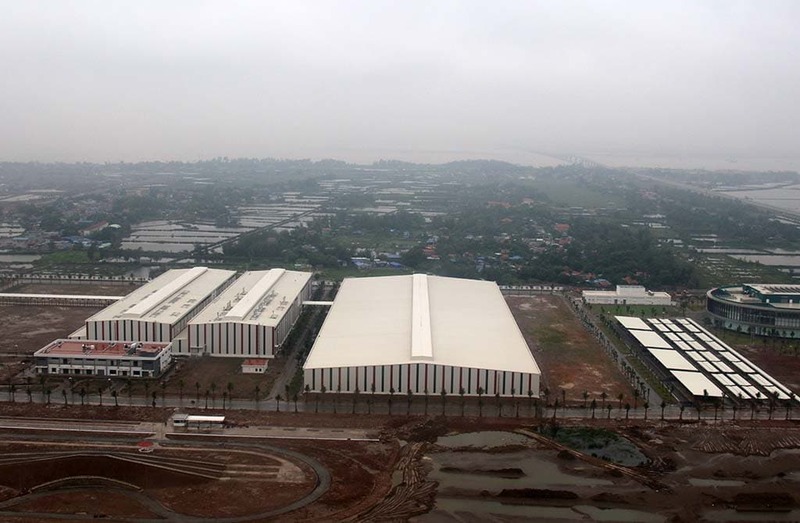 The VinFast HQ and plant complex is based on 800 acres on Haiphong Harbor near Hanoi. 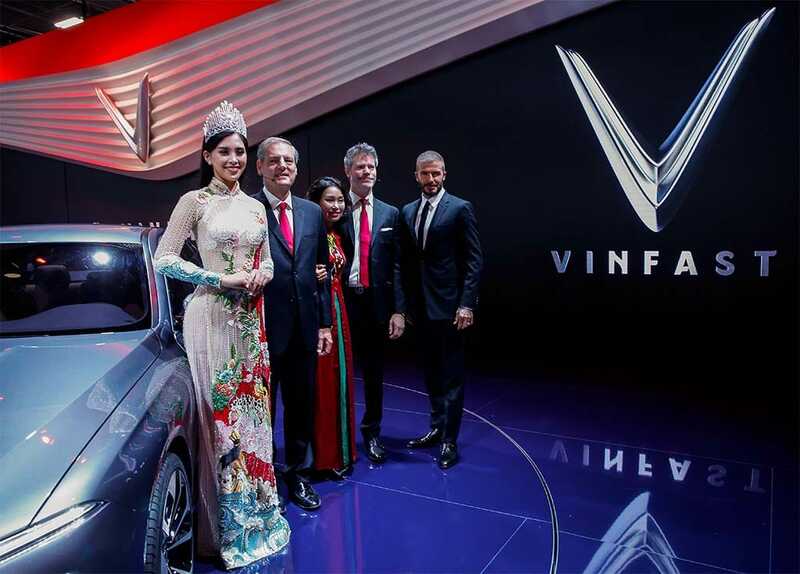 Initially, VinFast plans to target the booming Vietnamese market with these two models and the other two that will follow. But the factory has a rated capacity of 250,000 vehicles a year. New vehicle demand in the country totaled just 300,000 last year. There’s the opportunity for significant growth, Asian auto analyst Mike Dunne told TheDetroitBureau.com, considering Vietnam’s economy is growing as much as 7% annually. But he also cautioned it’s unlikely it can find a market there for all its output. For their part, company officials, including DeLuca, quietly acknowledge that they will likely need to start looking at opportunities in other parts of Southeast Asia. Longer-term, Europe could also provide an outlet. As to the U.S., there’s still the specter of a long and bloody war that could make it difficult for Americans to accept the idea of a Vietnamese-made car. Then again, German and Japanese vehicles started crossing the oceans barely a decade after the end of World War II, so VinFast has not ruled out that possibility, as well. 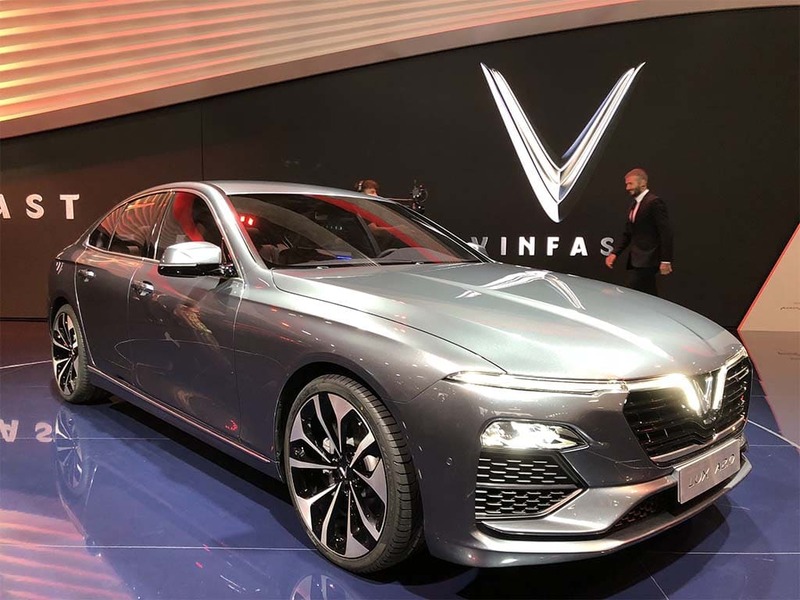 Full details on the VinFast Lux A and Lux SA should come out by early to mid-2019. 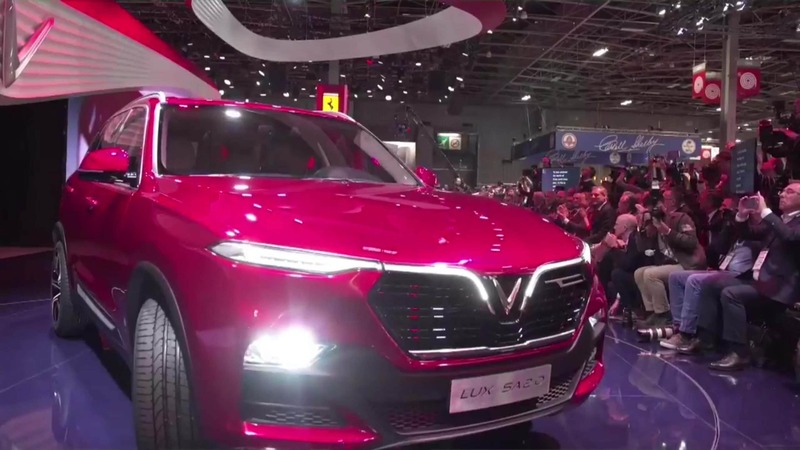 on Tuesday, October 2nd, 2018 at and is filed under Asia Pacific, Auto Shows, Automakers, Automobiles, Celebrities, China, Events, Executives, First Look, Markets, Paris, Personalities, Product Reveals, Sales, Sedans, VinFast.